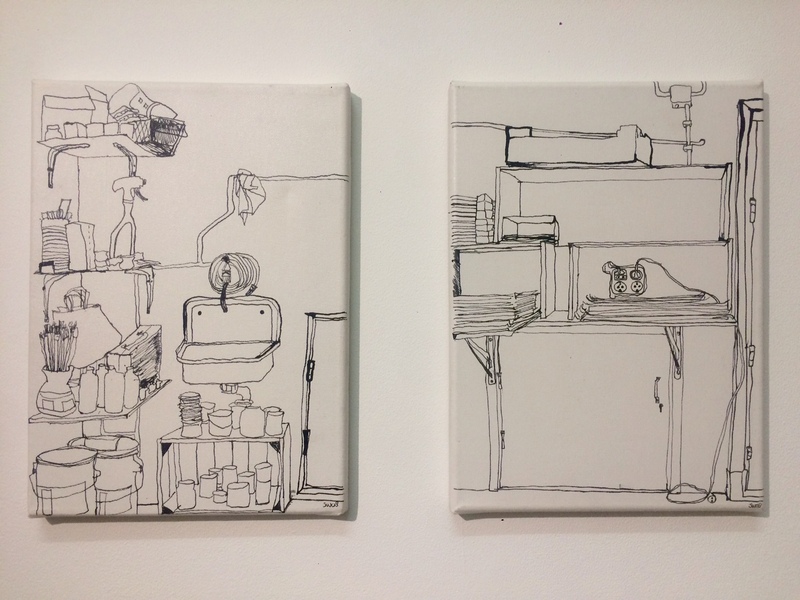 With pen and indian ink, I drew a part of my studio on small white canvasses. Oostindische inkt op canvas, 2x 30×22 cm. Indian ink on canvas, 2x 11,8×8,7″.